If you run a startup and still haven’t heard of Product Hunt, it might be a good time to refresh your news sources. A successful product launch on Product Hunt can get you anything between 5,000 to 250,000 users and help you get the attention of the press, sometimes even better than your PR outreach. Product Hunt, founded by Ryan Hoover is a website where anyone can submit a new product, app, service or Ebook, and readers can upvote or downvote their favourite submissions. Every day there’s a new list of tech products (which is actually a good thing for your product) , ranked by numbers of up-votes and new products get a chance to catch the eye of potential users, investors and reporters. While anyone can submit a product, there’re a small group of community members whose job is to go through and filter products that will appear on the homepage (and get exposure and a chance to get up-voted). Since its launch, Product Hunt has curated over 4,000 products with over 70,000 upvotes. Many reporters and investors even claim that they will look on product hunt to find interesting startups to write about or invest in. So yes. 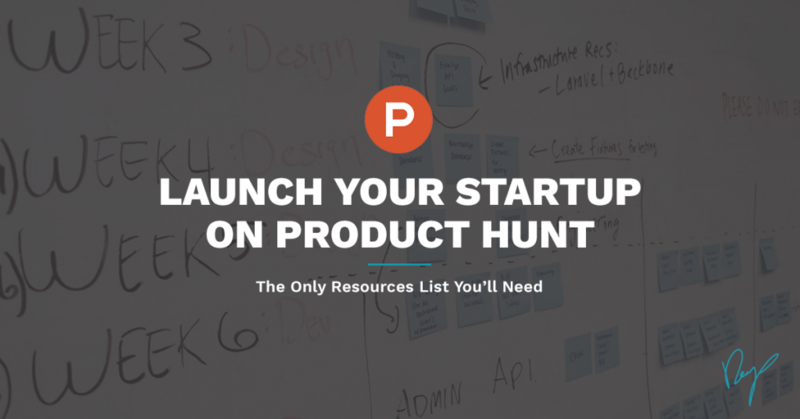 Product Hunt can mean a big deal to your startup. But how do you make the most of it? How do you assure your launch will be a hit and you will get hundreds of thousands of users? You can’t guarantee it, but if you follow these resources, you will get as close as possible. While startups see Product Hunt as a user gold mine, you have to remember that the essence of PH and what makes a great website is its community. Nichole Elizabeth DeMere’, A former community manager at Product Hunt, and currently a moderator, wrote an insightful post on the more community based side of how to succeed on product hunt. The post has some great insights on interacting with product hunters, how to engage on site, getting your product posted and much more. You might think that posting your product and hoping for the best is a decent strategy. If people will love your product, they will upvote it, no plan needed. Ben Lang, one of Product’s hunt earliest community members, and a moderator, shares the strategies and tactics to help your product to feature, get up-votes and improve chances to succeed on PH. You can join our webinar on August 26 to learn from Ben what the best ways are to post on Product Hunt to get traction and users: Sign up here (FREE). 3. Asking For Upvotes On Product Hunt Doesn’t Work. Here’s What Does. While it helps initially, it’s not a scalable strategy. Yoav, founder of veed.me, wrote a post about how they launched a side project with the guys from CodersClan (admittedly, CodersClan are clients of ours) called Coverr.co, and got over 1,200 up votes. In ‘How Coverr.co went to #1 and got over 1,200 upvotes on Product Hunt.’ Yoav explained how everything they planned went wrong except from one thing – can you guess what it is? Kiki Schirr, a long time PH moderator and an avid user wrote a complete (and I mean complete!) guide to posting your product on Product Hunt. In her guide, she covers some important topics that can save you a lot of time and anxiousness, such as: How to know if your product is even a good fit for product hunt, how to become a part of the PH community, how to get hunted and much more. Yes, it’s a paid resource (we’re not affiliated in any way) and it costs only 9.99$. If you calculate the potential ROI of it, trying to get even 5,000 users to your product (I’ve heard companies about that got 250,000 from product hunt!) through product hunt is worth the 10$. You would spend more on paid acquisition. 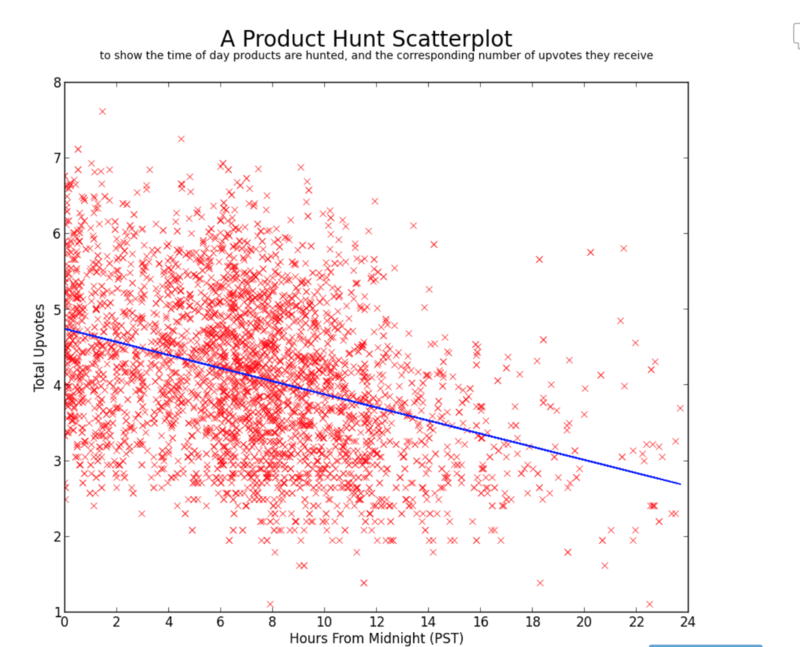 This is by far the most scientific resource on why you should launch your product on product hunt and why exclusivity may be the key. What Ed Moyse discovered, is that the earlier you launch in a day, the better chance you have at succeeding and getting more attention and up votes. But how can you get to launch as early as possible? You give PH exclusivity. So you’ve posted you product, you got to the homepage, now it’s time to measure and monitor results. If you want to learn about what being featured on product hunt does to your product better than just upvotes, traffic and sign ups – the awesome guys at Mention.me created an in-depth post on how to monitor your startup’s launch. Learn how to monitor your results through Mention’s blog post. Case studies are a good way to learn the step by step real-world tactics. To see what works and what doesn’t and how others did it. Bram Kanstein wrote a blog post about How he launched the #1 most upvoted product of all time on Product Hunt. In his post he shares insight from his 48 hours from the time being featured and the impact it made on this project. He reveals the steps he took to launch the project and more importantly how he got it crazily upvoted. Want more case studies? Eric Willis (top PH hunter and moderator) shares the case studies of product hunt successful launches since 2014. Check out his list of over 50 launch success stories. To launch on Product Hunt means both having a good product, but also really understanding the platform and immersing yourself in the community. Join our FREE webinar on August 26, to learn the secrets of a successful launch from PH moderator and founder of MapMe, Ben Lang. In the webinar Ben will talk about the community, tactics and strategies you can use when launching your product – even better – you can ask him anything live!